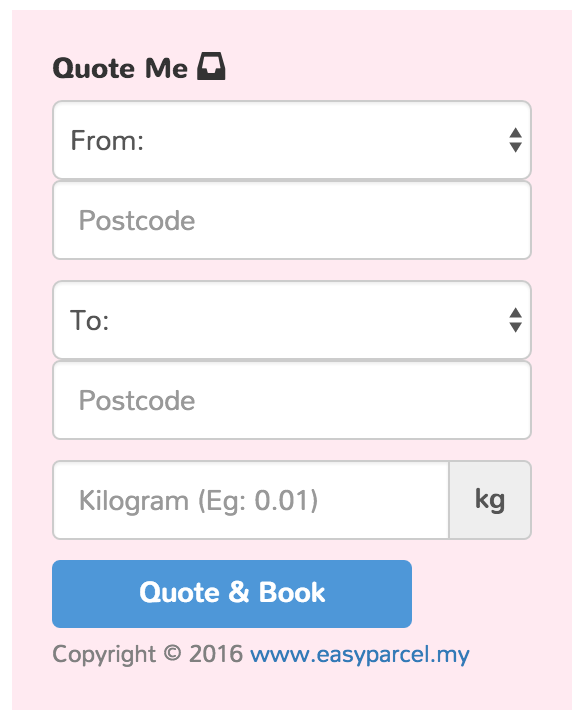 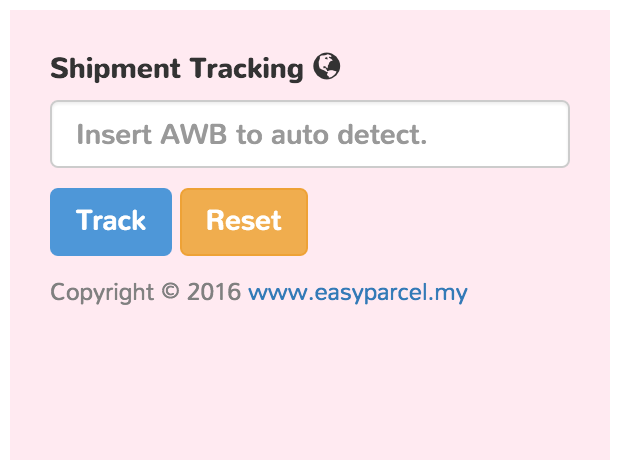 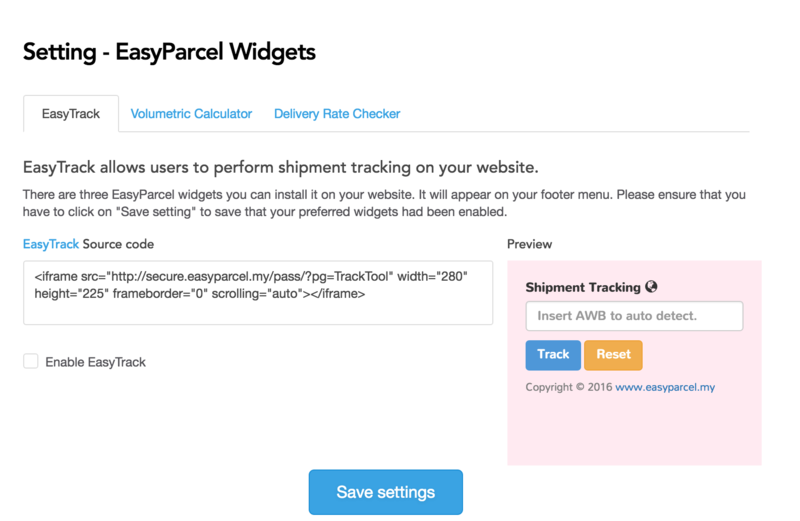 EasyParcel Widget allows you to enable customers to track the status of a shipment, calculate the estimated shipping rate based on the volumetric weight of parcel. 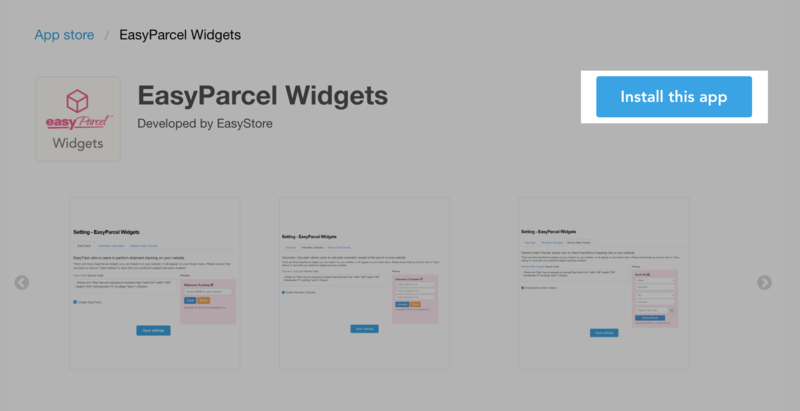 You may rename the title of the widget (e.g. 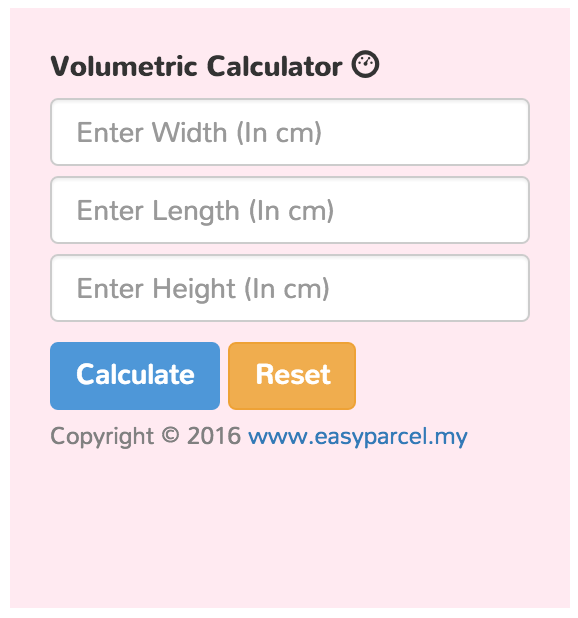 Calculate shipping rate / Track your parcel).